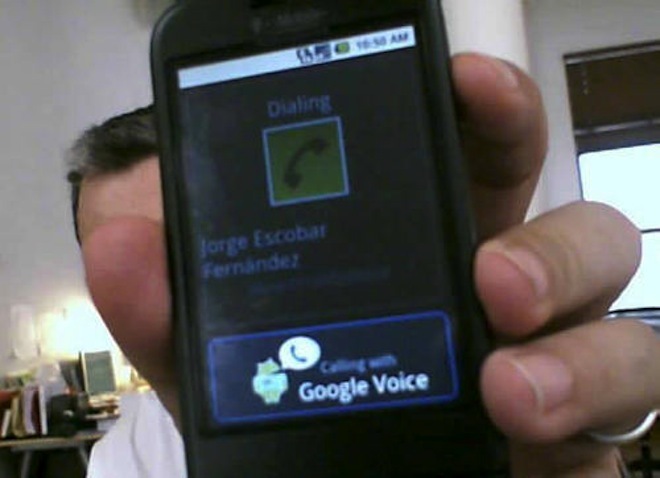 Google Voice to go fully VoIP, open to all in 2010? It looks like Google has big plans to develop its Google Voice telephony service into a Skype-rivalling VoIP operation in 2010, which might just mean that it’s finally opened up to everyone. At present, Google Voice offers a single phone number to replace your existing landline, mobile phone and any other lines you have. With voicemail transcription, threaded SMS, easy conference calling and a web-based admin panel it’s hugely popular with its invite-only US users. Here at The Next Web, those of us outside the States have looked on jealously, anxiously awaiting news of an international launch. The need for a US landline number has scuppered many people’s attempts to sign up. When Google acquired VOIP start-up Gizmo5 last month it looked likely that the company’s talent would be used to improve Google Voice. Now, in an interview with EWeek, Google’s Vice President of Product Management Bradley Horowitz has made clear that the Gizmo5 acquisition will lead to a much-improved version of Google Voice in 2010. “Voicemail transcription, inbox integration and threaded SMS are fantastic features, but we’re really just scratching the surface. Gizmo5 gives us talent and talent technology. They have specific tech and skills in further integrating telephony with devices and desktop and Web-based computing. While Horowitz didn’t discuss specifics, it’s clear that there are big plans afoot for Google Voice, and they rely on Gizmo5’s VoIP experience. We could well be looking at a version of the service that runs entirely via VoIP, without the need for a landline. As with Skype, this service could dial into and out of traditional telephone lines but without the requirement to be fixed to a particular number. Some may say that this takes something away from the essence of the service – replacing all your existing numbers with one Google Voice number is part of its appeal, but with call forwarding set up properly on your existing lines it could be almost as good. Becoming a fully VoIP-based service would also allow Google Voice to expand internationally more quickly, meaning we could all be using it in a year’s time. Of course, this is all just speculation at the moment. It’s clear, though, that we’ll hear a lot about Google Voice next year. Skype’s product development has stagnated in recent times. 2010 could be the year it finally sees some solid competition. Read next: O2's Last Gasp For Air? Says It Will Spend Hundreds of Millions in 2010 on Its Network.